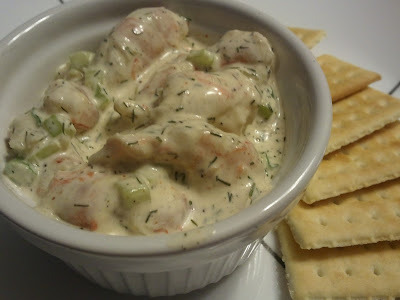 Ellen, this reminds me of my Aunt Ellen's shrimp dip but she adds hard boiled eggs and green onions. She doesn't use dill and no vinegar but they are very similar!! Anthony laughed and said they are not similar at all. Yeah, I like it with the hard boiled eggs, but some people do not. My Mom always made shrimp salad with eggs, too.